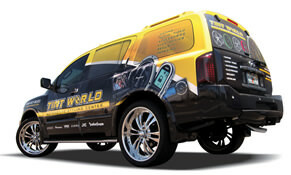 Tint World® is America’s largest and fastest growing window tinting and Automotive Styling Centers™ franchise. Since 1982 Tint World® has provided high-quality window tinting and vehicle accessories to people who love their cars. 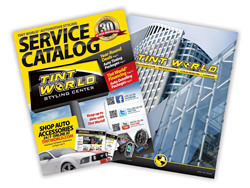 With a wide selection of automotive products and services, clean, attractive facilities, and superior customer service, Tint World® has become America’s favorite place for auto styling and accessories. 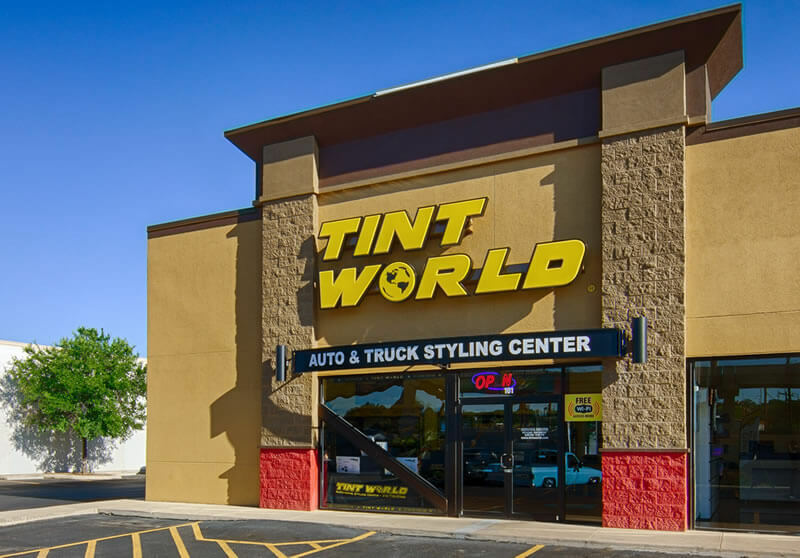 Tint World® Automotive Styling Centers specializes in auto window tinting, car audio video, auto security, styling accessories, auto detailing and reconditioning services. Tint World® is also the leading franchised provider of automotive, residential, commercial, and marine window tinting and security film services. Tint World® Residential and Commercial Services offers home and office buildings solar and security clear or tinted window films with energy cost saving products. Our franchise owners provide free in-home design consultation and professional installation of window film from a Tint World® mobile facility. Today, anyone can be the proud owner of a Tint World® Automotive Styling Centers™ franchise. In 2007, Tint World® began offering franchises, and quickly became the nation’s largest and fastest-growing window tinting and auto styling business opportunity. If you’re interested in running your own business and being your own boss, you too can enjoy the excitement and profitability of running your own Tint World® auto styling business at surprisingly low initial startup investment. Tint World is ranked in the ‘Top 500 Fastest Growing Franchises’ by Entrepreneur Magazine. Tint World has been on the Inc. 500I5000 list for three consecutive years. Tint World Received the 2014 Mobile Electronics Retail Store Chain of the Year Award. Tint World® has developed a business model that provides entrepreneurs with a competitive edge over the competition to capture their share of the more than 31 billion dollars that are being spent annually in the growing automotive aftermarket. Tint World® is a unique concept that provides consumers and businesses with high quality products and services that they enjoy buying and makes travel more pleasant and enjoyable. Tint World® products and services also make vehicles, boats, homes and businesses more attractive and increases resale value. Our training programs provide you with the knowledge and confidence to attack the market with all our concepts, expertise, trade secrets and work ethics that are needed to faithfully reproduce our Automotive Styling Centers™ in a manner that will reward you the same success in your Tint World® franchise. As a Tint World® franchise owner, you'll gain the full resources of a team committed to helping make your center a success through continued training, consulting, marketing, equipment, research and technical support. Tint World Auto Styling Centers is currently accepting inquiries from the following states: Wyoming, West Virginia, Wisconsin, Washington, Vermont, Virginia, Utah, Texas, Tennessee, South Dakota, South Carolina, Rhode Island, Pennsylvania, Oregon, Oklahoma, Ohio, New York, Nevada, New Mexico, New Jersey, New Hampshire, Nebraska, North Dakota, North Carolina, Montana, Mississippi, Missouri, Minnesota, Michigan, Maine, Maryland, Massachusetts, Louisiana, Kentucky, Kansas, Indiana, Illinois, Idaho, Iowa, Hawaii, Georgia, Florida, Delaware, Washington, D.C., Connecticut, Colorado, California, Arizona, Arkansas, Alabama, Alaska. Tint World Auto Styling Centers is also currently accepting inquiries from outside the United States and Canada, but not from the European Union.